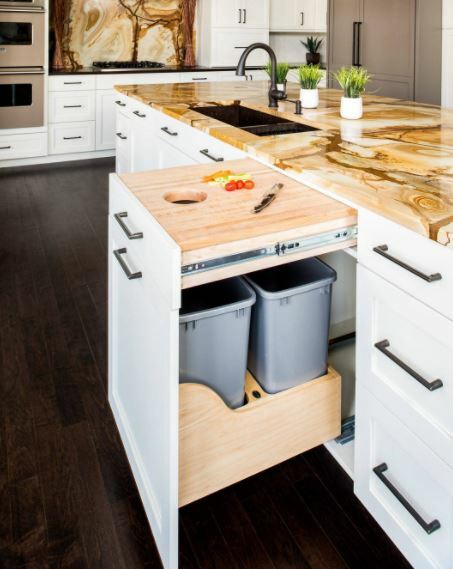 Take a look at these smart kitchen storage and organization ideas. They are simple to implement and can save you a lot of trouble. Be it big or small you always need to have an organized kitchen with ample storage facility. 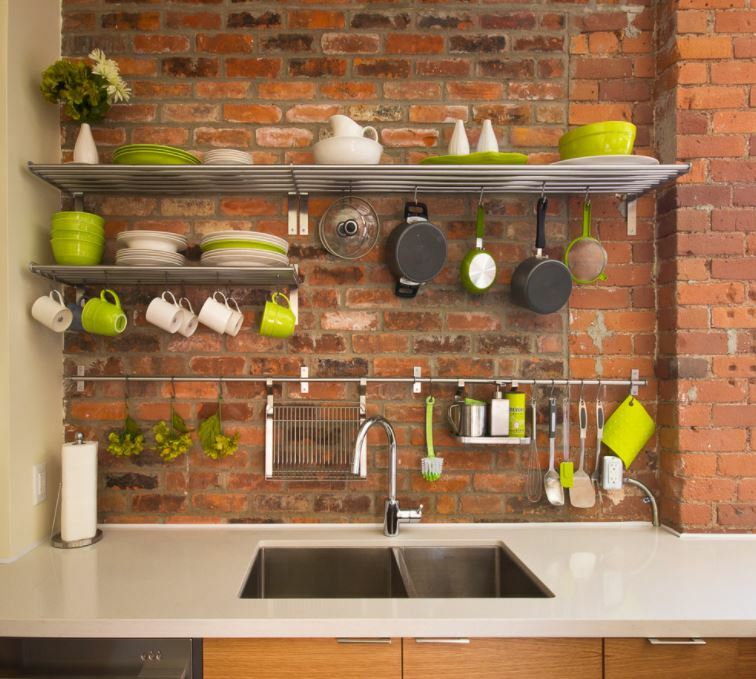 By properly organizing your kitchen space you can keep it clutter-free and your work efficiency will be high. A messed up working space especially kitchen can easily turn you off. Nobody likes to work on a countertop which is loaded with utensils, jars, and gadgets. 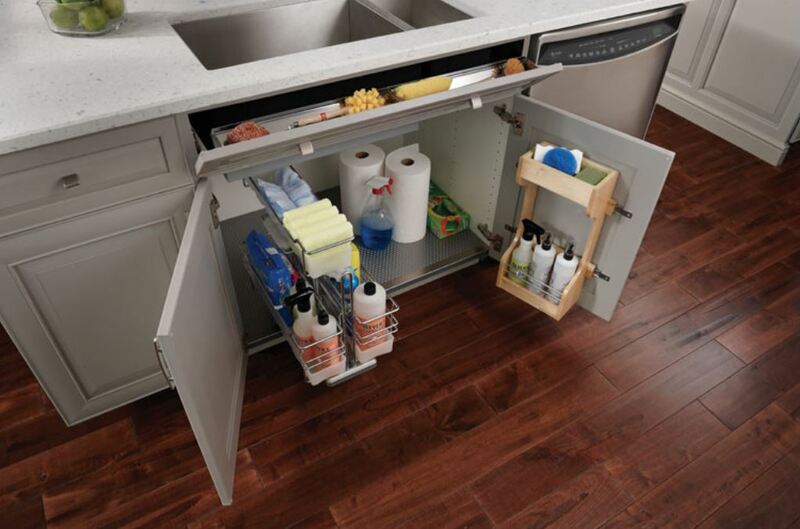 So, check out our kitchen storage and organization ideas. 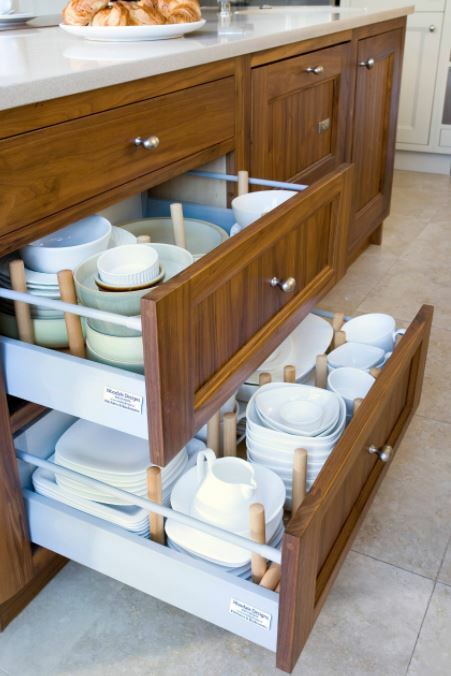 Install stainless steel rails and rods to help you store pans, plates, cups and spoons. You can wash them and place them directly above the sink. Pans and pots are the hardest to store. Hang them along with their lid on a stainless steel rod to make it easy to find them. Add a trolley on wheel instead of an island to your kitchen. 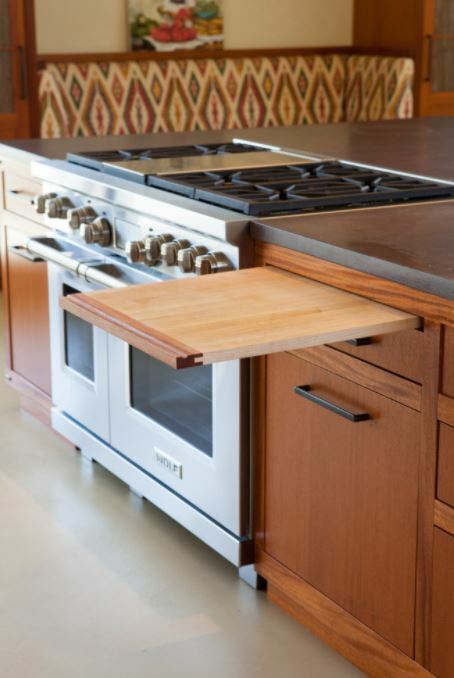 It serves as an extra work top to your kitchen and let you store big utensils below. 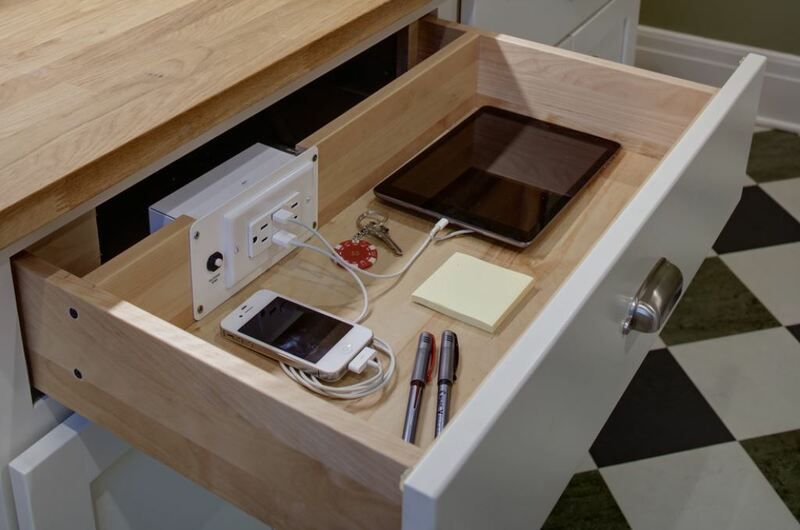 Check out this hidden drawer with power point to charge all your gadgets while you cook. Now no more clutter and tangled wire. 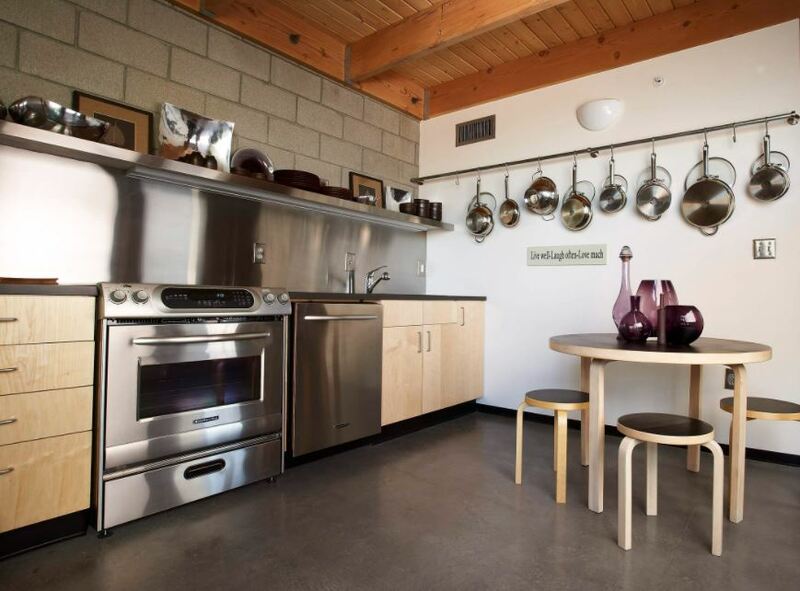 This kitchen has a build-in cutting board and trash bins below it for increased efficiency. Just cut and let the waste drop into the bin. 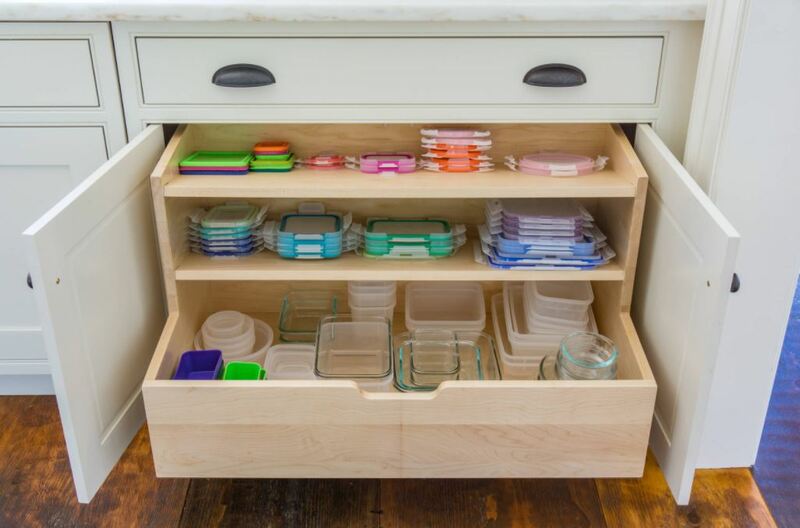 Add drawer organizers to your kitchen. 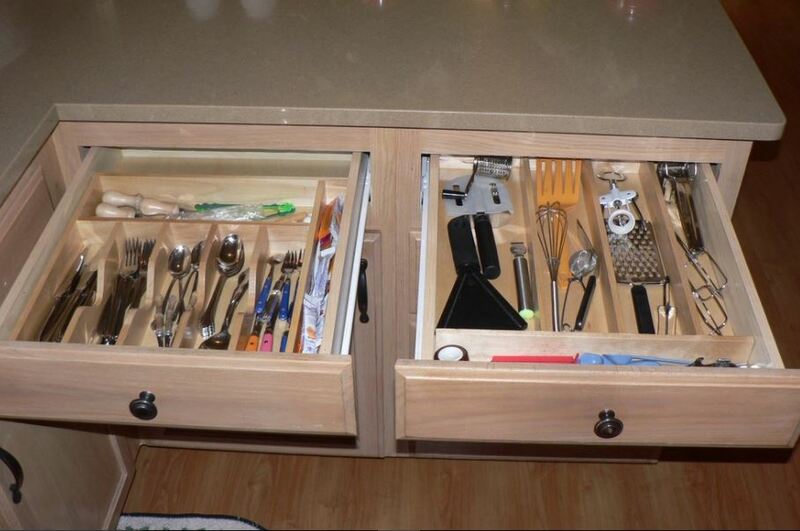 This will help you systematically store your cutlery in place. Don’t let the space below the sink go waste. Organize it to make way for all your cleaning agents, brush, scrub, plastic bags and other similar items. Here is a safe way to store your knives. It is completely hidden from sight so no worries about kids picking them up accidentally. 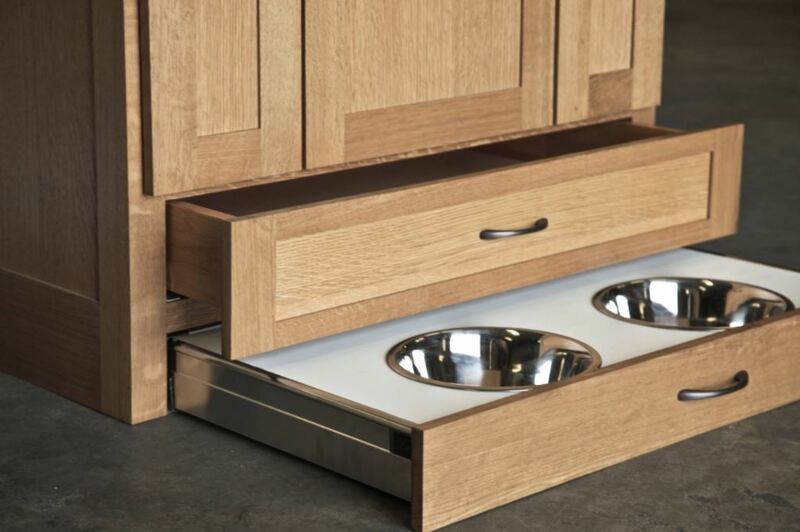 Get this drawer with a pet center. This will avoid spilling of water and food all over the place. 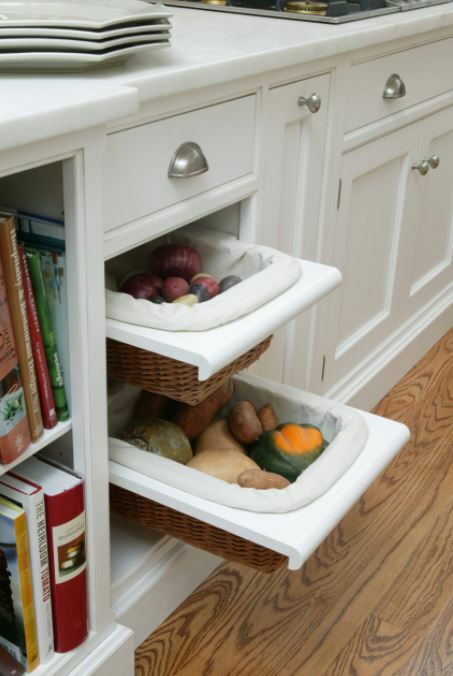 Take a look at this cool way to store your fruits and veggies. They will be beautifully tucked away in place. This wall mounted shelf allows you to easily reach the items you need on a daily basis. 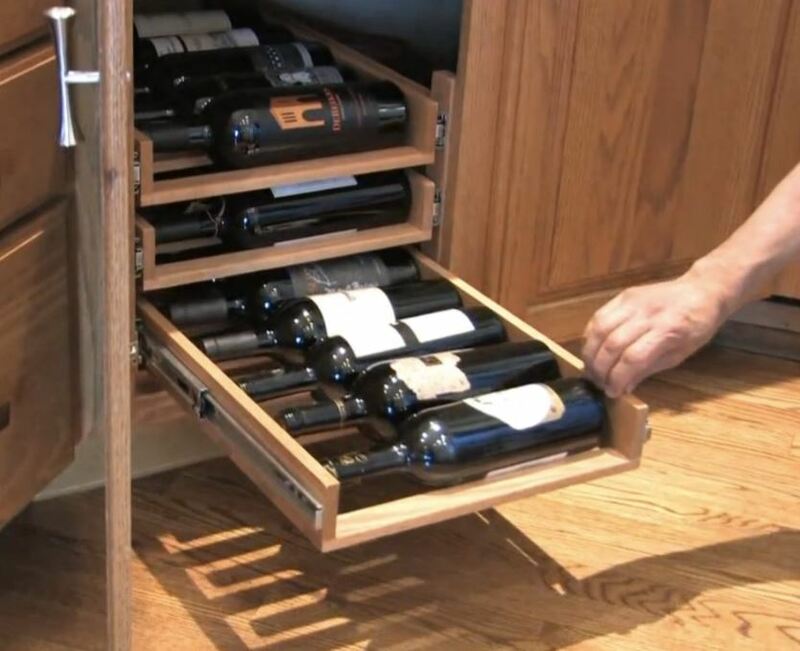 Here is an integrated wine storage space. It is something every house owner will love to have. Dedicate a cabinet to store your plastic and glass boxes used for storing food. Sort them out according to the size and shape. Also keep their lids neatly stacked so you find the correct one without any struggle. 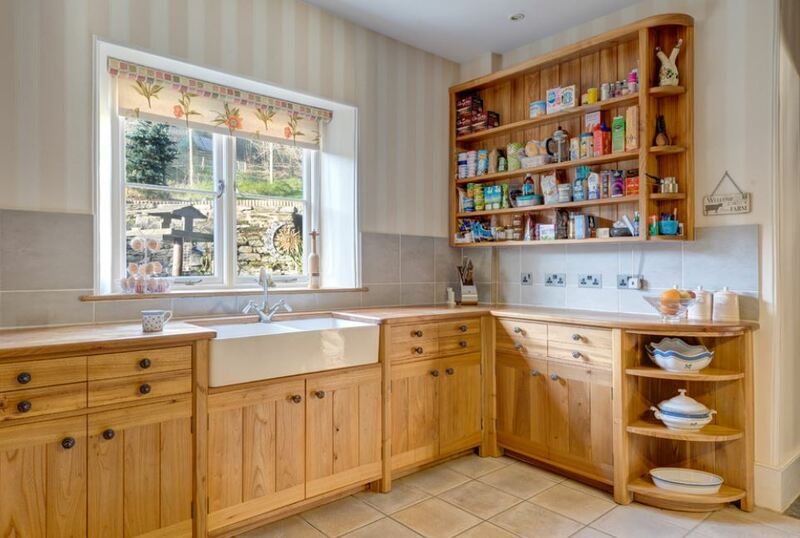 A perfect place to keep your serving and baking trays! 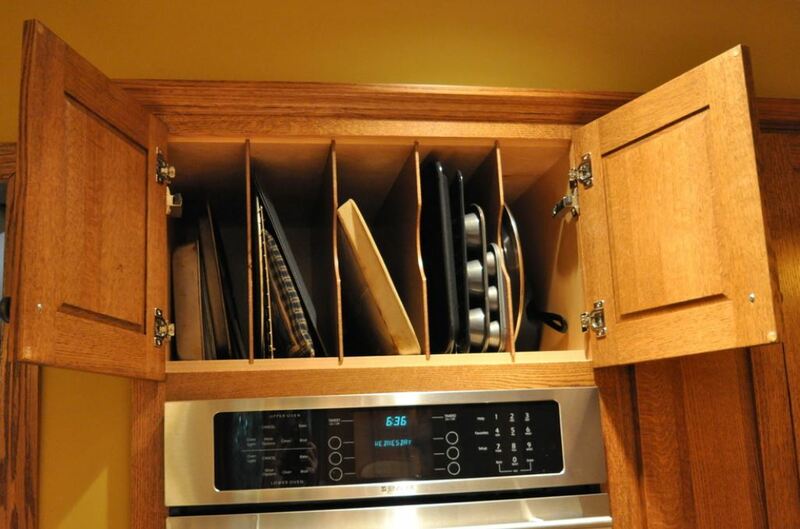 Use the space above the oven to make tray dividers to them organized. 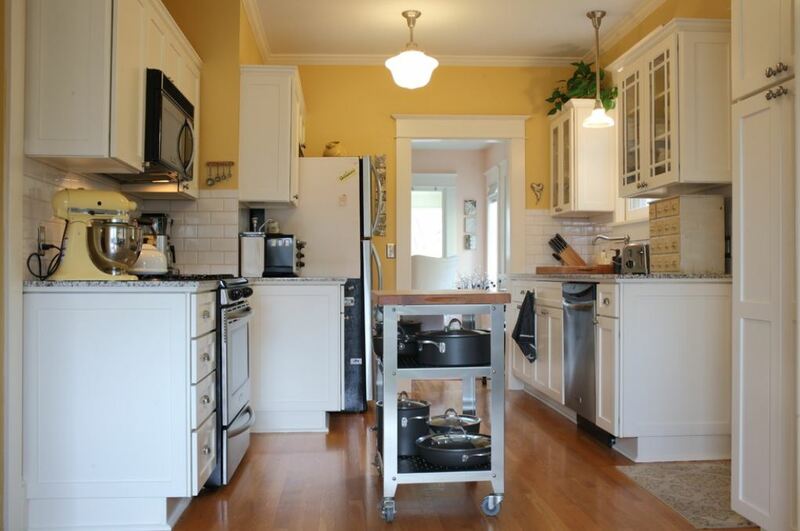 There are lots of unused space between the upper cabinetry and the countertop. Use it to store spices and herbs. Glue their lid at the bottom of the cabinet and hang them. 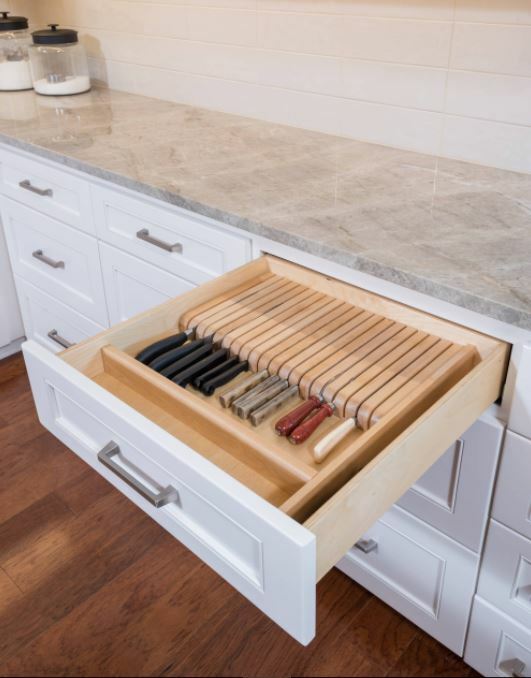 Use every available space to make drawers and cabinets for storage and organization. 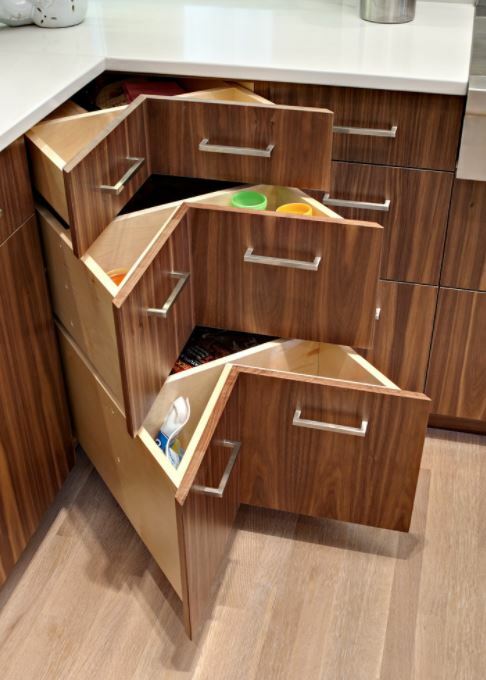 Install corner drawers, cabinets or lazy susan to maximize space. This is a pull out linen rack. 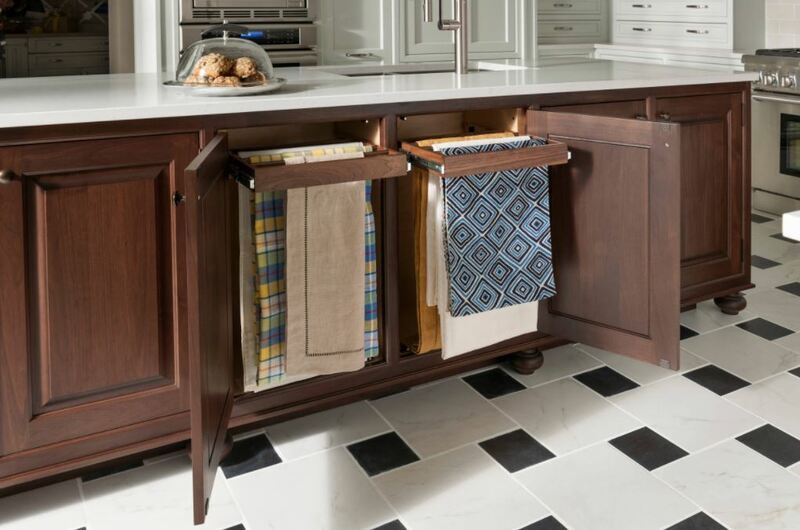 Store your table cloths, runner and kitchen towels in there. 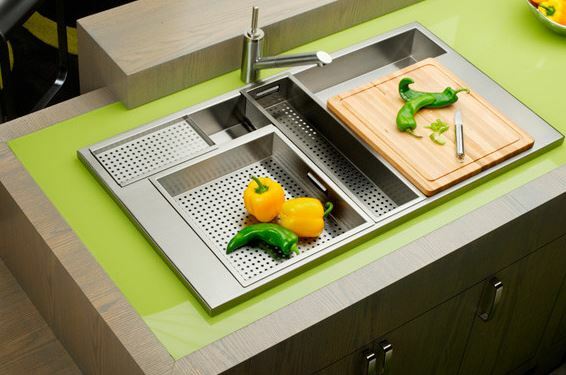 A sink where you can chop and wash your veggies with easy. It is an ideal place to do the preparations before you start cooking. Go for a concealed chopping board and save on space. It is situated just beside the stove to make it easy to cook. 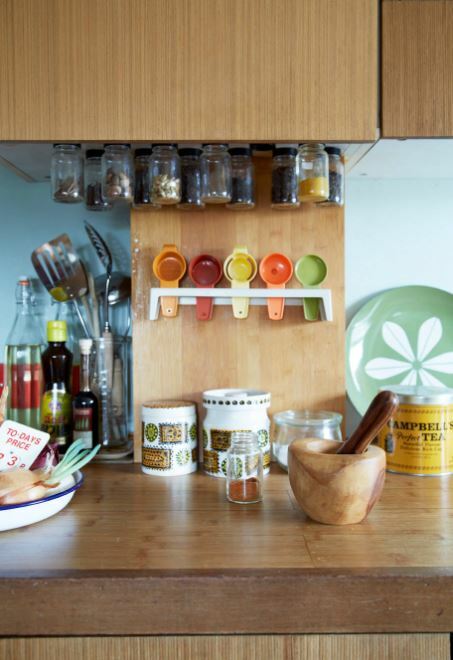 Keep your crockery in place with these kitchen storage and organization ideas. The pegs in the drawers keep them secure and avoid breakage. This entry was posted in Kitchen, Kitchen Designs and tagged Kitchen Organization, Kitchen Organization Ideas, Kitchen Organization Solutions, Kitchen Storage, Kitchen Storage and Organization, Kitchen Storage and Organization Ideas, Kitchen Storage and Organization Products, Kitchen Storage and Organizers, Kitchen Storage Cabinets, Kitchen Storage Design, Kitchen Storage Drawers, Kitchen Storage Ideas, Kitchen Storage Ideas for Small Kitchen, Kitchen Storage Ideas for Small Spaces, Kitchen Storage Solutions, Kitchen Storage Tips, Small Kitchen Organization, Small Kitchen Organization Ideas, Small Kitchen Storage and Organization by Homemakeover. Bookmark the permalink.